Nineteen players from the state were nominated for the 42nd annual all-star basketball game. The nominees for the McDonald’s All-American Game were released Wednesday, and there were several players from Washington on the list. More than 800 players were nominated this year. Nominations come from coaches, athletic directors, principals, and members of the McDonald’s All American Games Selection Committee. 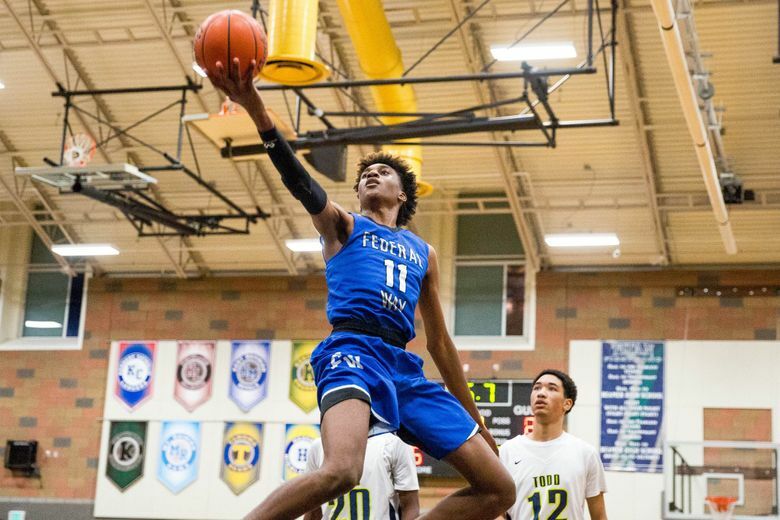 The state’s boys nominees were led by Federal Way’s Jaden McDaniels, a five-star forward considered the No. 5 recruit in the nation for the Class of 2019, according to 247Sports.com. Washington signee RaeQuan Battle was also nominated as was Gonzaga Prep’s Anton Watson. As is becoming tradition, Renton’s seniors, all eight of them, were nominated. Six Renton seniors were nominated last year. Kentridge’s JaQuaya Miller, a Washington signee, heads the eight girls nominated from the state. Miller is the No. 41 players in the nation, according to ProspectsNation.com. Nathan Hale’s Michael Porter Jr. was named an All-American in 2017, the last player from the state to play in the game. Bellevue’s Anna Wilson, the sister of Seahawks quarterback Russell Wilson, was named to the team in 2016. She was the last girl from the state to play in the game.